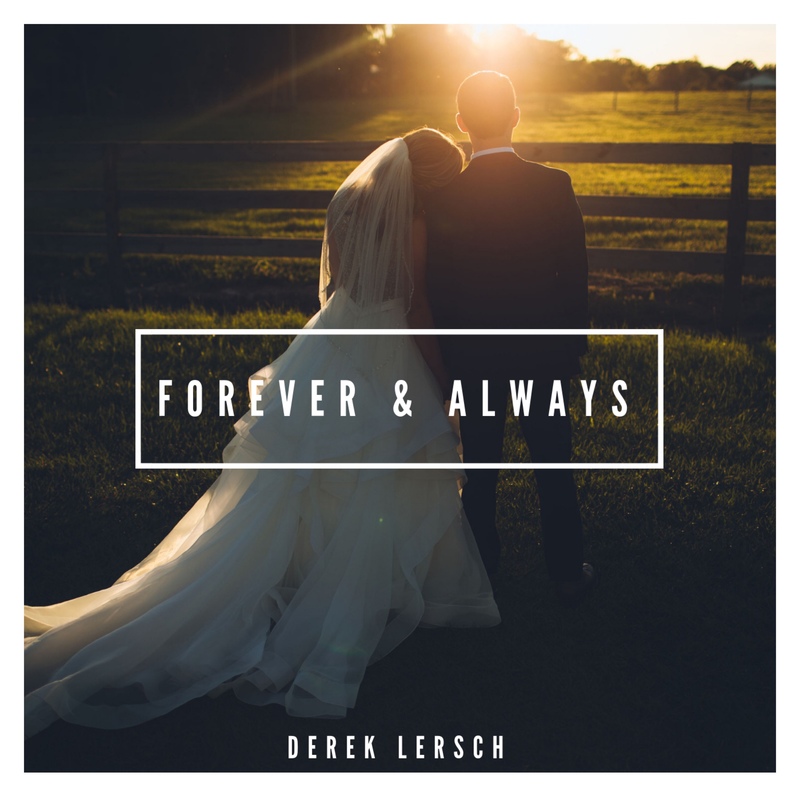 We have interviewed (which can be found on this site) and “met” Derek Lersch a few months ago, then I heard his latest single “Forever & Always”. He stated on his social media accounts that this was a very personal song and had an interest backstory. I like the song and thought it deserved to have its story told! I wrote this song by myself. I wrote the song and gave it acoustically to my producer, Joe Merrick, who then played all the instruments on the track. After that, I went in and laid down vocals and it came out just the way I imagined it when I wrote it. I was engaged at the time and my fiancée had just told me we were writing our own vows. So I started thinking about my vows and as songwriter this song is just what came out. I think a lot of people getting married, that are already married, or just in love with someone can really relate to the words of this song. What came first, the music, the words, the idea? The chorus line and melody came to me and I just couldn’t stop singing “And I will love you forever and always…” and it wasn’t but 30 minutes and I was done with the whole song. Is it going to be a part of a larger collection, such as EP or album? This is the second single I’ve released off of my upcoming EP that I will be releasing this summer. Lyrically, what perspective is the song told from? This song was very personal to me because it was my wedding song to my now wife. It’s really written from a place of love. As I said before, I had started writing my vows so the lyrics were just about my love for her. The song really tells a story throughout and I feel like it was a story a lot of people could relate to. That’s what I’m always trying to do with my songs, be very personal but also very relatable. Were there any challenges while writing it? This song had many challenges while writing it. I wrote the lyrics in just 30 minutes and I had originally wrote the song on the piano but it just didn’t fit. It was fast and didn’t match my style at all. I loved the lyrics and knew it was a good song but instrumentally I just couldn’t get it to where it needed to be, so I walked away from the song for a few weeks. Then one day I was messing around the guitar and started playing this little riff (which is now the intro acoustic guitar you hear) and I pulled those lyrics out and it just fit perfectly. It was unbelievable honestly. I was so excited once I finally got the song instrumentally where it needed to be. What sets this song apart from your previous work? What sets this song apart from what is being playing on the radio today? This song definitely showed a softer side to my music and writing compared to a lot of my other songs. My first single “Miss Me Whiskey” was a break-up song, so to follow it up with a love song was a total turn around and showed a whole different side of my music. I personally think this would be a great radio song, I may be a little biased with that assessment, but I think it’s relatable and a lot of people would like it. It’s very similar to some Dan + Shay songs and they are all over the radio. As an independent artist, radio airplay would be a game changer. Will you be releasing a video with this song? Yes, I will be releasing a music video for the song in the coming weeks. We actually filmed it at my wedding, so the emotion of the song really comes to life in the video. I’m really excited to share with everyone.